By Zack Quaintance — Writer Zack Kaplan is on the rise in comics. He’s currently writing three new and exciting series: Eclipse and Port of Earth for Image’s Top Cow imprint, and Lost City Explorers for AfterShock Comics. 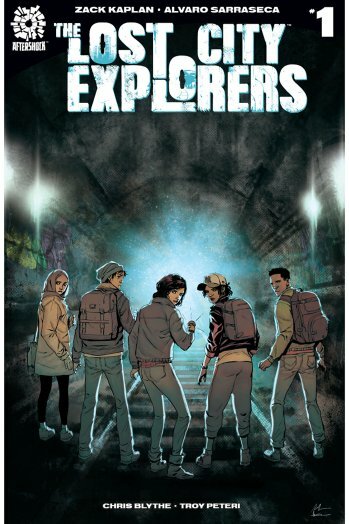 Both Eclipse and Lost City Explorers have also been optioned for TV, with the latter getting the call pretty quick after its first issue. 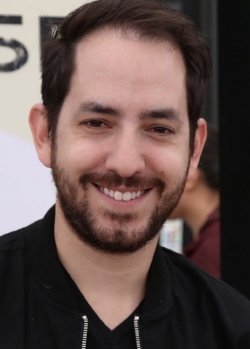 It’s impressive stuff, and as fans of his work, we wouldn’t be surprised to see more success coming Kaplan’s way soon. With that in mind, we recently talked to Kaplan for a new feature we’re launching on the site: Five Questions with Creators. It’s exactly what it sounds like. No more explaining needed...so, let’s get right to it! 1. I’ve seen in other interviews and your own notes with Eclipse that you’ve had some pretty interesting jobs...so, what are the most interesting jobs you’ve had (aside from creating comics)? I mean, people may know I was a poker dealer and a SAT tutor, but I’ll tell you, one of the most interesting jobs I had was a movie trailer surveyor. I did temp work for a data entry company and they would input surveys measuring audience reaction to movie trailers. I punched in thousands of these surveys, and then I asked, hey, who does this? Someone goes to movie theaters and watches how the audience reacts to each trailer and gives it an “Okay” or “Good” or “Great”, and sure enough, there were a ton of people doing this around the country and sending in their data. So I said, “Can I do that?” and they said sure. For about two months, I went and watched movies and before the movie started, I would go to the different theaters and showtimes and gauge audience reaction, which was a completely subjective and random measurement. My own personal evaluation of whether people thought that Mission Impossible movie trailer looked good or great. It was a very random guess, but they reported this data to the studios, and they probably made pivotal decisions based on my keen insights. And I got to tell people I get paid to go watch movies. That was pretty interesting! 2. How do things like having been a poker dealer on the graveyard shirt or having taught screenwriting in the Philippines inform your stories? I’m a big people watcher. I’ve always enjoyed jobs that allow me to watch and interact with people. Characters in stories are three dimensions, but people are like eight dimensions, and I’ve always found that fascinating. Being a poker dealer, I got to see a lot of interesting people and how they handle the challenges of an involved game like poker, but that was mostly people-watching. Teaching writing is a far more interactive practice, where you have to not just communicate the principles of the craft, but in a workshop setting, identify each student’s needs and address them in a way that helps that student improve. At the end of the day, I think all those experiences help me better understand that people are complex, and I try to capture those complexities and nuances in my writing. 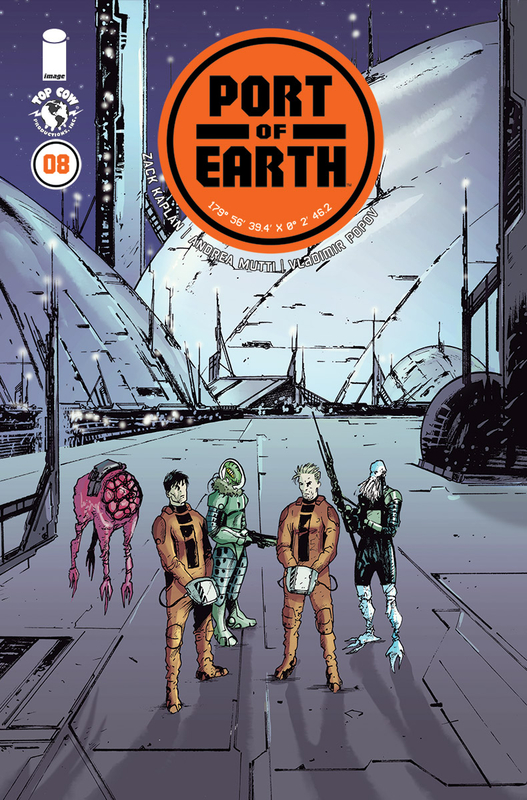 Port of Earth #8 came out this Wednesday. 3. When and how did you first become interested in writing comics? It began in 2002 when I came back to comics. I had read superheroes growing up, but when I discovered Brian K Vaughn’s Y THE LAST MAN or Greg Rucka’s QUEEN AND COUNTRY or everything Warren Ellis, I realized how diverse and multi-faceted the medium was. I got to see it through adult eyes and gained a whole new appreciation for it. I began reading and collecting a lot of creator-owned comics. I was already pursuing writing in film and TV, but I think that was when the seed was planted: cool writers write cool and original stories in comics. From then, whenever I thought of a story idea, and wondered if it would make a good movie or TV show, I started to wonder about comics. And finally, I took the plunge and decided I wanted to write a comic series too. I spent years trying to land a pitch. When I finally landed ECLIPSE, I still thought I was writing a comic, and it wasn’t until it came out that I realized I was becoming a comic book creator. 4. Your career trajectory has been really cool to watch...what’s the most important piece of advice you’d give to someone who is where you were years ago and would love to eventually be where you are now? When I finally landed ECLIPSE, I was very nervous. I’m a perfectionist and I wanted it to be great. And that’s simply too much pressure. So, I had to tell myself, Zack, this is not the one. This series, it can be good, you can do your best, but in your life, this one isn’t the one. This is the one that leads to the one. And that allowed me to do two things. Write without such pressure. And realize another important lesson. If I’m just writing good stuff until I get to the one, and none of these are the one, then I’m the one. I’m the product. And as a writer, or an artist, or any creative, I think if you realize that you are building a career of many projects and stories, and some will be good, and some will not, but overall, you are building a long career of creating, that thinking helps. It helps new creators to think small and create a lot of short content to get their names out, it helps inspire creators to work on lots of projects, because you never know which one will be the one. Who knows, maybe ECLIPSE will actually be the one, after all. Maybe not. I’m just busy writing lots of stories now, I can’t think about which one is the one. 5. Lost City Explorers seems to me like a classic teen adventure story for 2018...what are some of your favorite classic teen adventure movies? Oh, where to begin! GOONIES! INDIANA JONES! Is ET an adventure movie? I think so! How about NEVER ENDING STORY or EXPLORERS? LABYRINTH or BACK TO THE FUTURE? I loved all of that fun, maybe campy stuff from the ‘80s. But I think what inspired THE LOST CITY EXPLORERS was wanting to have my version of those stories but without the 1980s nostalgia. It seemed like whenever people made those stories, they always had a nostalgia to them. I wondered what would a teen adventure look like in modern times. I’ve seen teen dramas. I’ve seen big world teen stories like HARRY POTTER or HUNGER GAMES, but those aren’t our world. So yes, THE LOST CITY EXPLORERS is my teen adventure but in our very own modern times! +1. Do you remember the worst sunburn you’ve ever had...and do you ever think about it while you’re writing Eclipse? When I was growing up, I went on a ski trip and got my face so burned, the skin was peeling off. My nose was a mess, and, of course, I came back to high school and they were taking the class pictures. Ugh! But this was years and years ago. The crazy thing is nowadays, it’s not even enough to put on sunscreen once for a day at the beach or a day outside. You have to reapply. The sun is becoming more and more deadly to us. This is happening, and 50 years from now, who knows how bad it will be. That’s what I love about the concept behind ECLIPSE. The sun is supposed to be this positive, happy, plant-growing force in our lives, but everyone secretly harbors a hatred to the sun and the one time it totally burned them. Screw you sun, we never forget! Click here for a review of Eclipse #9 and here for a review of Lost City Explorers #1.